Ride-hailing companies Ola and Uber continue to face trouble from government authorities, this time with the Karnataka transport department, for failing to ensure that cabs hailed on their apps do not have a child lock. The transport department has reportedly said that the leading players, Ola and Uber, are not actively showing interest to ensure their driver partners disable the child lock system. Therefore, the department has issued notices to both the cab aggregators, asking why their licence should not be revoked for not complying with the new rule. The transport department claims it has removed the child-lock feature from about 22,000 cabs that had not disabled it and has penalised owners. In the last three-four days, the department claims to have found that almost 95% of the cabs continue to have the child lock feature. They have constituted 11 teams, each comprising three members, to check cabs on different stretches in the city. An email query sent to Ola and Uber didn’t elicit any response till the time of publication. The move against child locks in cabs began with repetitive instances of crimes against women in Delhi, Mumbai, and Bengaluru involving cab drivers. In June 2018, there was a case of alleged molestation of a woman passenger by an Ola cab driver who forced a woman passenger to strip, took pictures of her on his mobile phone, and even threatened to call his friends and get her gang-raped if she protested. The woman was on her way to the airport in the Ola cab. Following the incident, The Women and Child Development ministry (WCD) reached out to ministries, Ola, and Uber, demanding a thorough background check of drivers and asking aggregators to ensure that the child-lock feature is disabled in the vehicles that ply for them. Later, Bengaluru Society of Obstetrics and Gynaecology filed a PIL in this regard. The organisation said that crimes against women passengers travelling in taxis have increased and there was a need to remove the child-lock system so that passengers are not at the mercy of the driver. They claim there have been incidents of passengers being trapped due to child lock. Following this, the Karnataka Motor Vehicle Act was amended to disallow permits to cabs with child locks. Also, on January 11, 2019, the transport department clarified that the rule would apply to new as well as existing taxis. RTO had then set a January 16 deadline for removal of such locks. Sources privy to the matter at Ola told Inc42 that the company was informed about the removal of child locks, but were not given a deadline earlier in December notices. They had then reached out to drivers, offered services of mechanics, but not all drivers took the initiative to get it done. However, on January 11, 2019 the company was informed of five-day deadline and it continues to struggle to ensure the drivers operating on its platform comply. The company is also facing issues in getting a compliance certificate from the RTO, however, the department had opened the offices on Sunday (January 20, 2019) for drivers to visit the respective RTOs and obtain an endorsement certificate of removal of child lock from their cabs. The RTO is now strictly overseeing the checking drive, as the next hearing for PIL is scheduled on January 23, 2019. 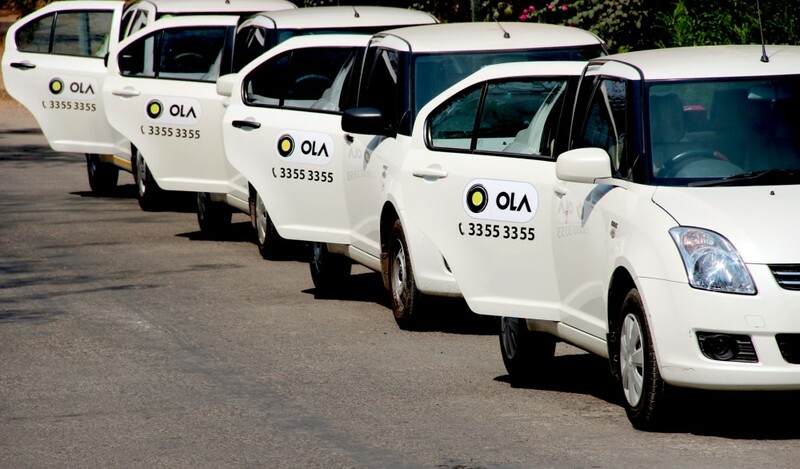 It is being said that about 60K cabs in the city operate under app-based platforms such as Ola and Uber. The Ministry Of Road Transport And Highways had earlier introduced regulations ensuring that rear door child locks on all commercial passenger vehicles such as taxis – private, app-based cabs or general taxis, be disabled from July 1, 2019.